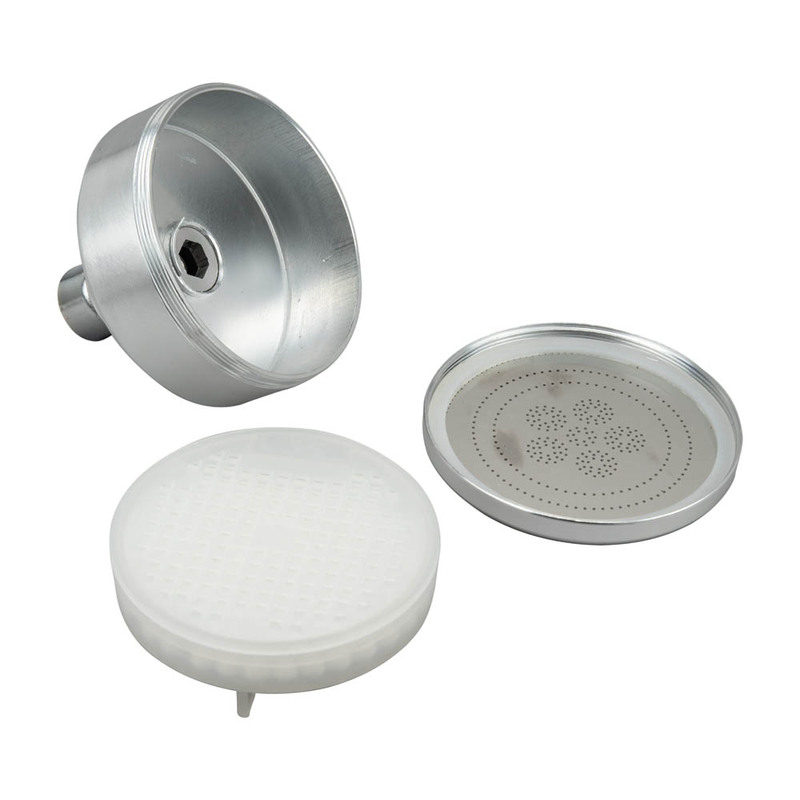 Combine with our ionizing shower head for the ultimate shower experience. 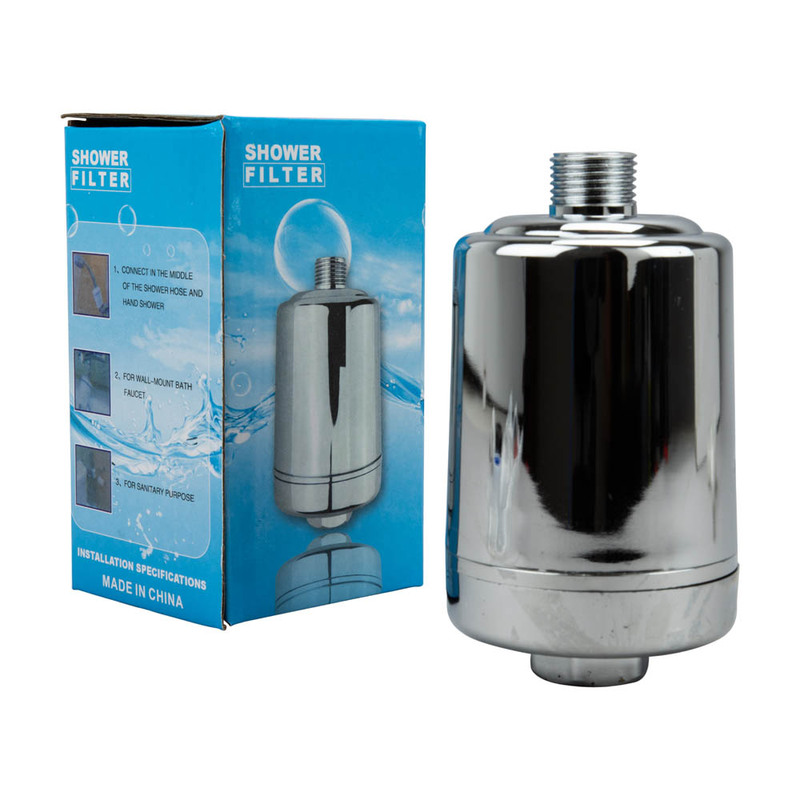 The ClearChoice 8 stage shower filter is an easy way to dramatically improve your shower experience and water quality. 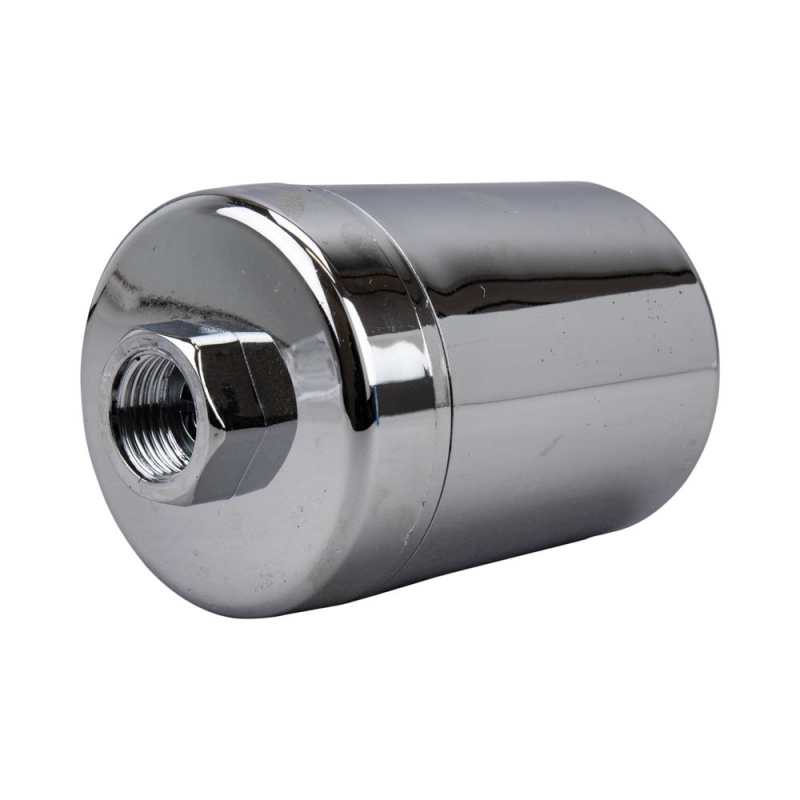 Made of high quality aluminum alloy. "Respiratory Problems - Breathing chlorine vapor can worsen asthma, allergy, sinus, and emphysema conditions." Stainless Steel mesh - catches large debris. Activated Carbon - removes trihalomethanes, odors and color. KDF 55 - removes heavy metals, bacteria and algae. 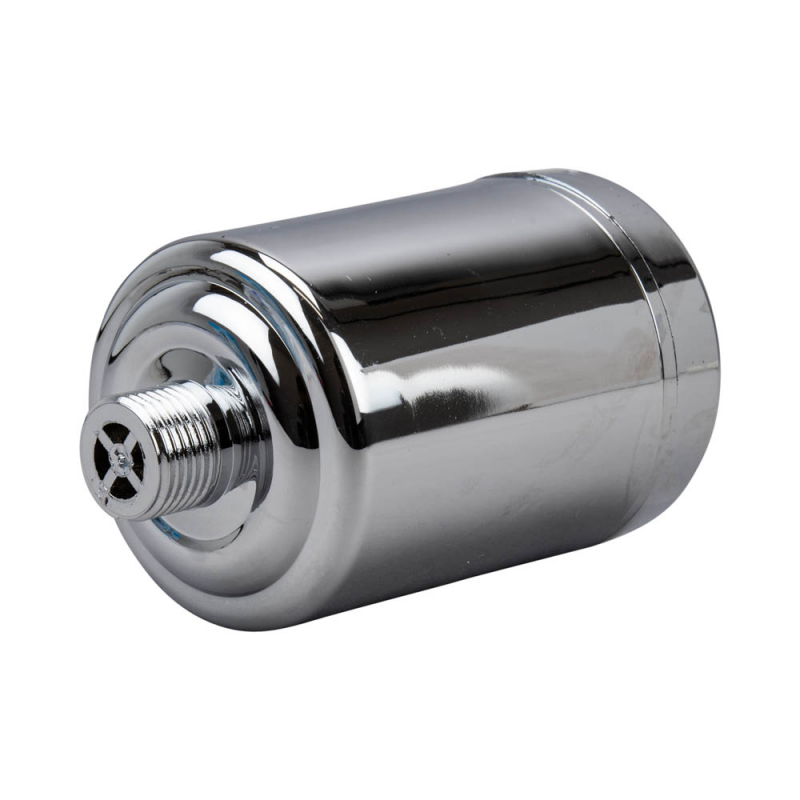 Calcium Sulfite - works especially well with hot water to remove chlorine and chloramine. Activated Carbon - second layer to remove any further traces. Tourmaline Ceramic Balls - oxidates water for better absorption to nourish skin and aid circulation. 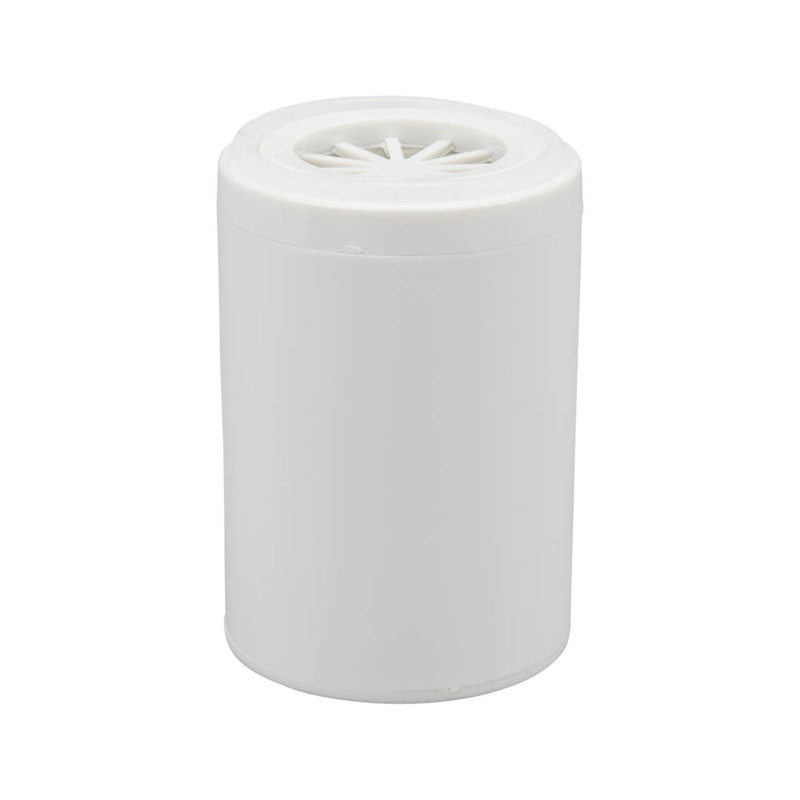 Polypropylene Floss - final filter stage prevents any particles from entering the shower. Replace filter every 6 months. Approximate dimensions - 5" H X 3" DIA. Made a huge difference in the chlorine sting.